I have a little confession. I think I enjoy playing with DIY slime nearly as much as Bubbles does. It’s relaxing and a good way to de-stress. I love popcorn and chocolate, and enjoy combining them together into munch mix recipes whenever I have an excuse. I was organizing my baking “accessories” cabinet the other day, trying to find a more efficient way to store the sprinkles, frostings, and other accouterments. 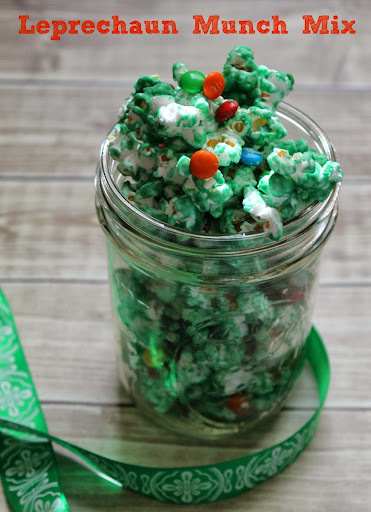 When I had everything pulled out, I realized I had some green candy melts and thought Bubbles and I could make a fun Leprechaun Munch Mix.